One of the biggest shifts in communication technology is underway, as the exponential growth, integration, and acceptance of artificial intelligence continues to dominate our digital landscape. One particular sector that is poised to make a tremendous impact within artificial intelligence’s realm is voice-based automation. 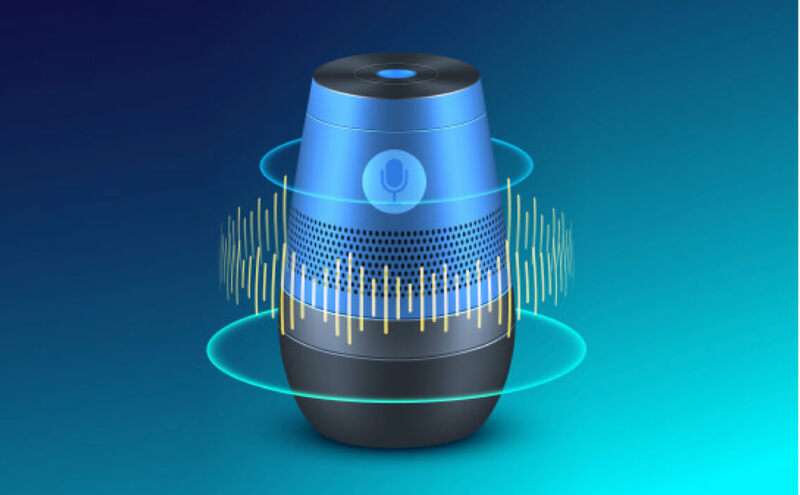 The widespread use of voice-based assistants has caused companies to invest and adopt into the technology aggressively, as to meet the demand of increased consumer expectations for real-time connections to brands and companies. Due to this, we are looking at voice-controlled automation as the future for marketplaces, online transactions, and IoT products but first, let’s take a look at how we got here. When we take a look back at the past, customer service involved a complicated series of steps for the consumer.. If one wanted to get into contact with the company, they would have to find a number to call, navigate through a series of prompts, and then wait to be connected with a customer service representative. At this point in the process, they would need to reconfirm identifying information before receiving the support needed. This meant that customer service representatives faced repetitive, mundane, and low-level inquiries, over and over again on a daily basis, often causing the support to be delayed or causing frustration on the consumer’s end. In come chatbots, the better way to answer repetitive questions that pop up over and over again through live chat, e-mail, and phone calls. These chatbots are a cost-effective one-time investment, to providing on-the-go customer support that is efficient, responsive, and available twenty-four-seven. Here is how they are shifting us away from full-fledged customer support teams. Chatbots can take over a wide range of customer touch points, from gathering relevant information such as name, e-mail, issue, feedback, and inquiries to choosing the correct support agent to forward the individual to. Chatbots can reduce the need for a customer support team to be around twenty-four-seven as they can be online for as long as possible, and manage multiple conversations simultaneously. Chatbots are cheaper to acquire and installing them is incredibly easy. This trumps hiring a massive customer support team that requires training and on-going expenses. Chatbots streamline the passing of customer information, improving the customer experience that a consumer has with an actual agent. Chatbots have a quick response time, unlike live agents that you must wait in queue for. Chatbots can attend to more than one customer at a time, ensuring that everyone is dealt with. Chatbots do not need any type of human intervention, allowing it to consistently chat for hours without the need for a break. All in all, chatbots cannot replace a human customer agent completely but they do save companies a lot of time, money, and energy when it comes to customer service teams. Now that we understand the advantages of chatbots, let’s take a look at how the advancement of machine learning and voice command is moving us towards voice-controlled bots and economic transactions. What Is Voice-Controlled Transaction Automation and Why Is It Inevitable? A voice-controlled transaction is simply, a transaction that you make using a voice command as the prompt into a voice-assistant. With voice-controlled smart hubs and digital assistants already being a popular option among consumers, it is only natural that the progression and use of voice-recognition technology for making payments online becomes the way of the future. According to Business Insider Intelligence, voice payments on eCommerce platforms are common, with payments made to colleagues or friends (P2P) and bill payments made by voice following suit. The growth that we are seeing in this area is happening due to two artificial intelligence sub-categories, natural language processing, and machine learning. Essentially, our computers are now better equipped to understand speech (through natural language software) and are now able to learn from contextual information and apply it to future conversations (machine learning), both of which create a more dynamic, scalable and, intuitive user experience. As such, we are seeing banks and mobile payment platforms implementing voice-controlled transactions across voice-assistant devices such as Google’s Home, Apple’s Siri, and Amazon’s Alexa. As voice-controlled transactions become the way of the future, we are going to see more growth alongside voice authentication security systems, which are what will allow or deny a person access to online transactions. A voice authentication system uses a person’s voice biometrics or patterns to identify who is speaking (not what they are saying as that is speech recognition). This includes creating a digital numerical representation of an individual’s dialect, frequency, style, and pitch and matching it against already-recognized patterns. Any slight differences or distortions will deny or lock access to the online transaction. How About Voice-Controlled Automation and IoT Products? Speaking of Google Home, Apple’s Siri, and Amazon’s Alexa, as we grow more connected through systems like these and create more sophisticated voice-controlled assistants, we are opening up the possibility of having a limitless number of voice-controlled home devices. We’ve seen this on a small scale with audio enabled smart light bulbs, entertainment systems, and security systems like Nest, but not on a larger scale quite yet. Eventually, we will jump from using voice-controlled assistants to turn on or off our ovens, televisions, fridges, thermostats, and mirrors and instead just use our own voice. Finally, as the world moves towards enabling and integrating more sophisticated voice bots and voice-controlled devices into our homes, payment systems, and businesses, we will see it become the natural way to interact with utility marketplaces like food delivery services and booking services. We will be able to use nothing but our voices to open up applications, sort through the menus, book what we need or order what we want, and of course pay for it, all in the manner of a few minutes, completely hands-free. Although we may not know exactly where voice technology will take us, it is definitely inevitable that voice bots are the new frontier in automation. They will make it easier to complete mundane and repetitive tasks such as answering customer support questions, purchasing food, or booking a venue, while still enriching our lives by making the world more connected and easy to use. Beyond this, voice bots, voice search, and voice assistants bring a level of personalization that both the digital and physical world hasn’t seen yet. Get in touch with us to know more about our work on Voice Bots.